I don't know about you, but my idea of a perfect relaxing weekend is heading to a hotel and not stepping foot outside that hotel until the weekend is over. Of course that very rarely happens, especially because most hotels are in city centres and going shopping is always too tempting. With that being said, last weekend Dara and I headed down to the Radisson Blu Hotel & Spa and the only goal we had was to totally chill out and that's exactly what we did. 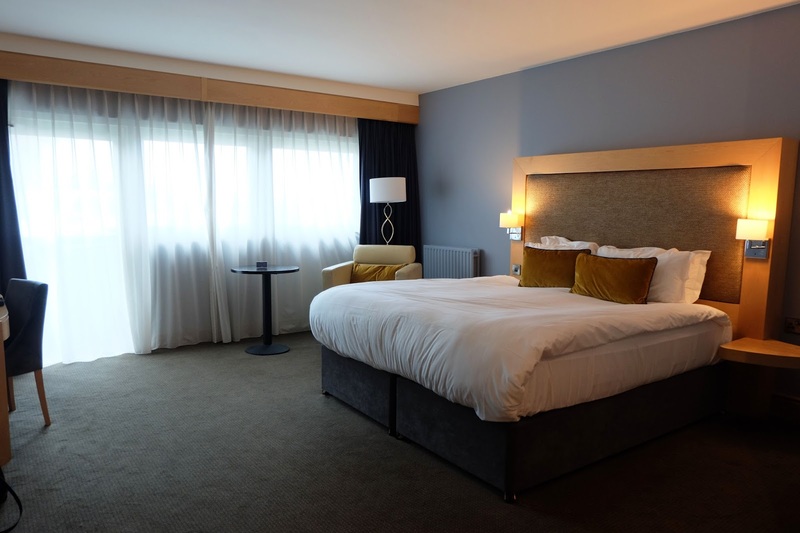 The Radisson Blu Hotel & Spa is located in Little Island in Cork, about a 15 minute drive from the city centre. There's a KFC and a Costa Coffee right across the road from the hotel (perfect for some late night snacks or early morning caffeine fixes) and although the hotel is right next to the N25, there wasn't a peep from the traffic at all. Since it's just off the N25, it was so easy to find and a nice quick run down from Waterford. The room we stayed in was one of their 'Executive Rooms' located on the ground floor and it was huge as you can see from the photo above! The bed was lovely and comfy and we had a big widescreen tv to watch some movies on too. The room also had a Nespresso machine, which if you've ready any of my previous hotel reviews, you'll know I absolutely love because I'm a total coffee addict. When we first arrived the room was quite warm so we turned down the thermometer in the room. About an hour or so later we realised that the radiator was still very hot so we called reception and someone came down straight away to sort it out and even brought a fan which I thought was very good. I loved the colour scheme in the room, those pops of mustard with the blue tones goes so well and overall it was a very comfy, relaxing room to stay in for the weekend. It also had floor to ceiling blackout curtains so we slept undisturbed by any light on Sunday morning until my alarm went off for breakfast and we had to drag ourselves out of the comfy bed! In the bathroom there were This Works toiletries which I was pleasantly surprised by as they're a brand I love. 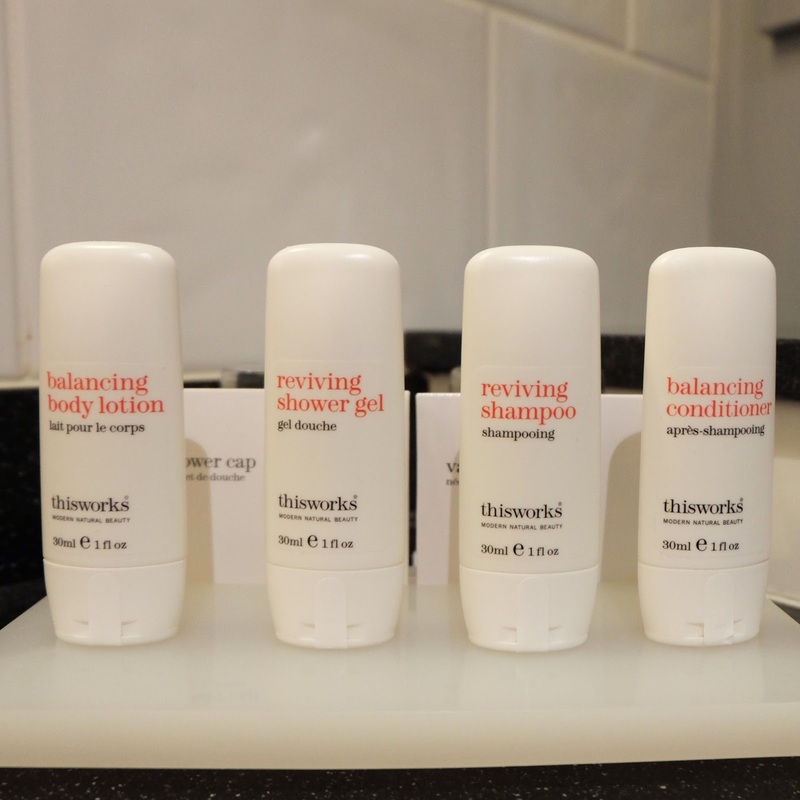 It's also very rare that a hotel will have a conditioner as well as a shampoo and although it's a minor detail, it's something I appreciated as I am the worst for remembering all of my toiletries! If you watch the vlog of our weekend which is linked below, you'll be able to see much more of the room and the yummy welcome treat that was left for us. Since the weekend was all about relaxing, we booked into the spa for some pampering. The Radisson Cork currently have an offer on called the 'Retreat Afternoon Tea' which is €100. You can choose two from the following: Swedish back massage, mini facial, Indian head massage, full body scrub or a full body wrap and once your treatments are done, you enjoy an amazing afternoon tea experience. once our massages were over, we chilled out in the relaxation room and enjoyed some fruit salad and water. We then heading into the pool which has some very fun hydrotherapy features and once we'd turned ourselves into prunes, we headed out to enjoy the afternoon tea. When I say the afternoon tea was AMAZING, I am not exaggerating. 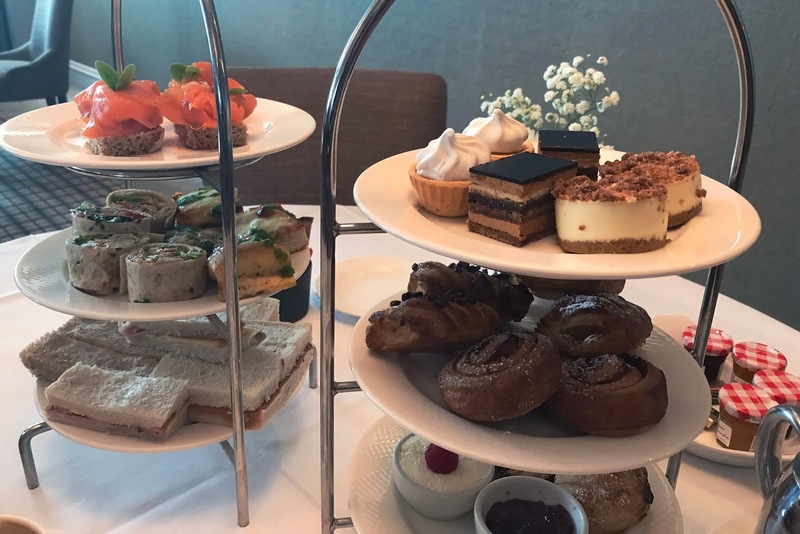 It was actually my first time ever having afternoon tea and I was very excited to pretend I was very fancy if even for an hour or so and drink my tea with my pinky finger sticking out! We had cajun chicken wraps, delicious focaccia slices, and don't get me started on the deserts. I mean how much better can it get than mini scones and apple and cinnamon cheese cakes?! I think this spa package would be lovely even if you weren't staying in the hotel as you can really make a whole day out of it. Keeping with the theme of food, I have to tell you about the dinner we had. Usually I don't have super high expectations for food in hotels, but the food in Maestro's Bistro was absolutely delicious. 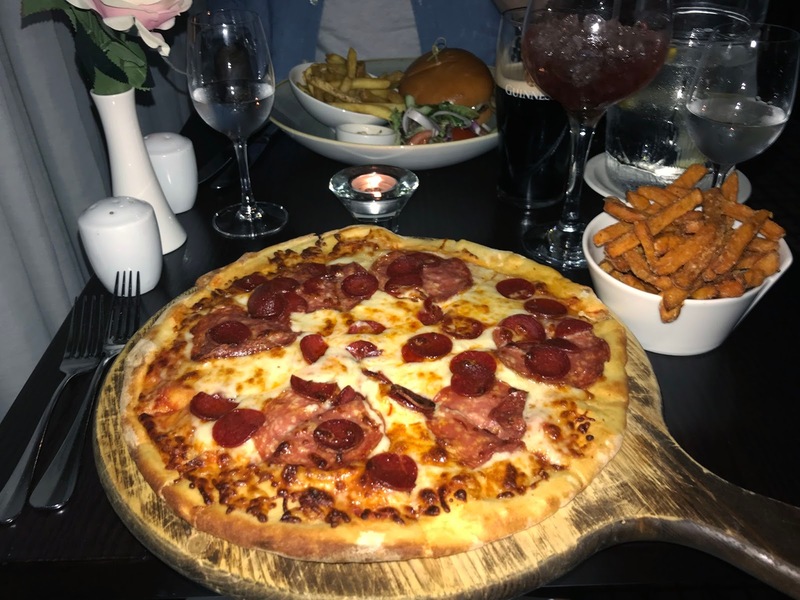 I ordered the pizza along with homemade sweet potato fries which as you can see was incredible and Dara had the burger which of course I had to try! 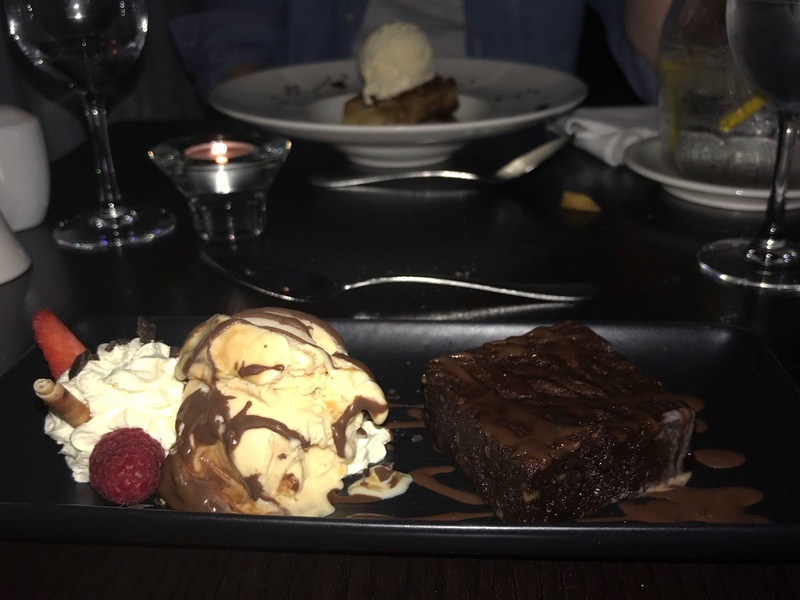 Desert was equally as yummy and my chocolate brownie was absolute heaven. 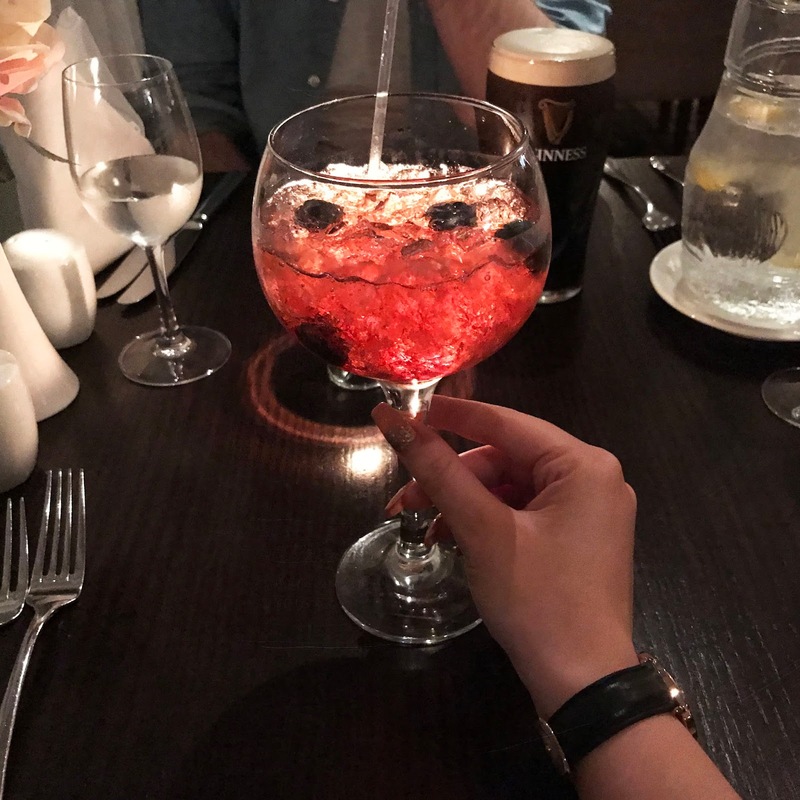 I also had the gin bramble cocktail and it was strong and sweet, just how I like them! One of my absolute favourite things about staying in a hotel is the breakfast and a breakfast buffet is my idea of heaven. 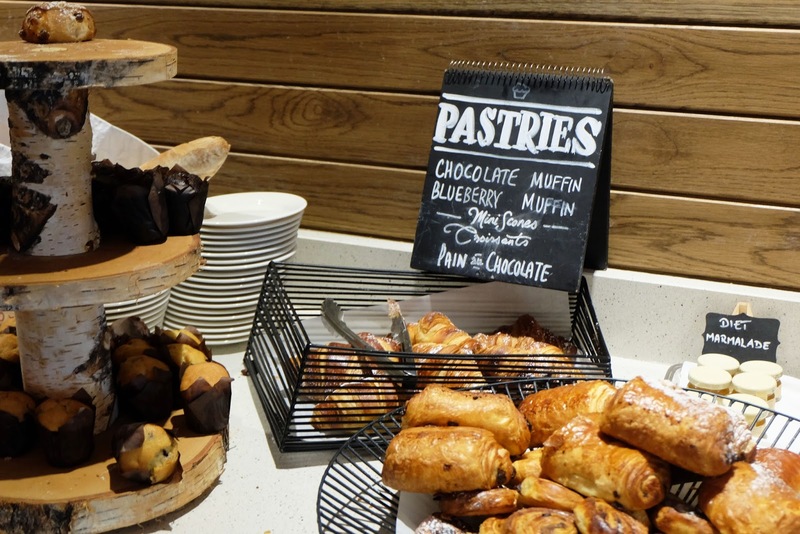 The Radisson Blu Cork had the most amazing breakfast buffet which included a orange press where you could make your own orange juice, a Bloody Mary station for anyone nursing a hangover, fresh pastries and scones and of course all of the essentials for a hearty Irish breakfast. They also had the option to order from the kitchen, so I ordered the waffles because I have such a sweet tooth. 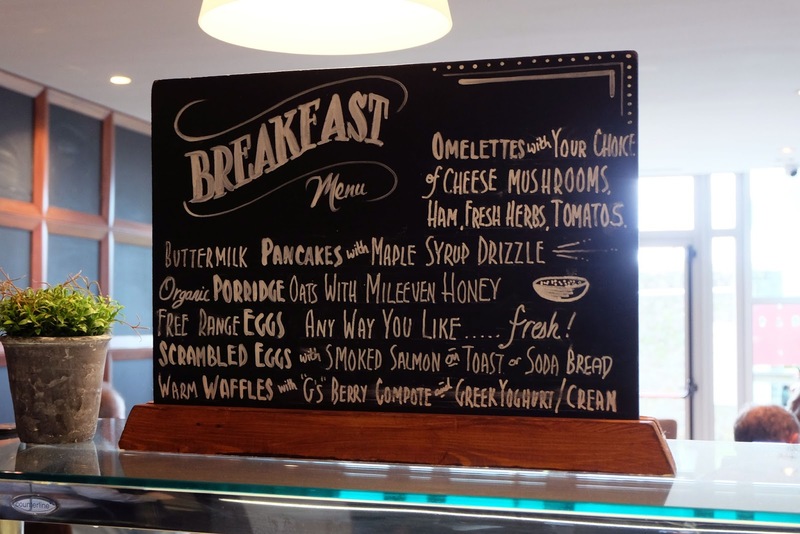 Overall, we absolutely loved our stay in the Radisson Blu Hotel & Spa Cork. 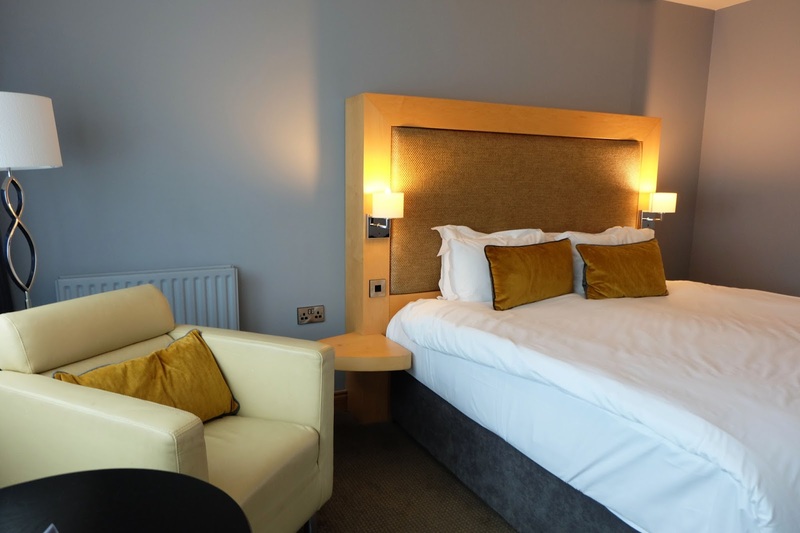 The staff were all so friendly and very helpful, the hotel itself was gorgeous and very calm, and the food just absolutely won me over since I am very much food motivated! 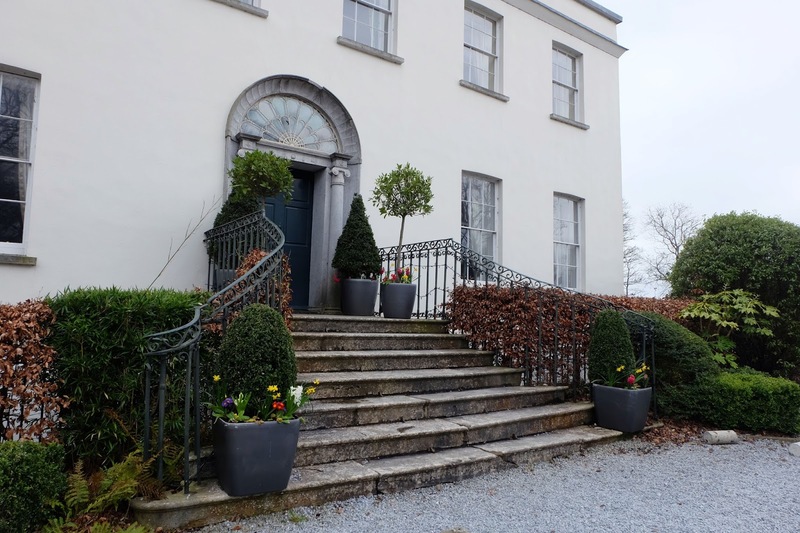 If you're looking for a break away that's not in the centre of Cork, but also it's too far away either if you fancy a quick look in the shops, I think this is the perfect place. I hope you enjoyed this post and if you were looking for some staycation ideas that it gave you some inspiration. Thanks so much for reading and a big thank you to Sarah and everyone at the Radisson Blu Cork for having us and being so accommodating. That really looks so elegant place to stay for a short vacation. Having that time spent on Radison Blu is an ideal during summer. This gives some significant to the beauty express ireland who also provide some effective place to stay and relax a bit of time.